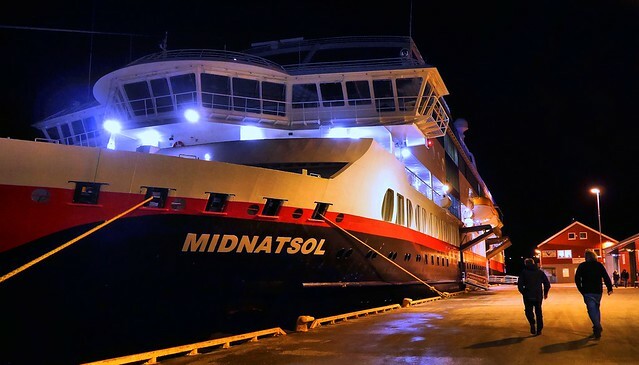 Every day throughout the year both a North- and a Southbound coastal express have their daily stops in Rørvik at 9pm in the evening. 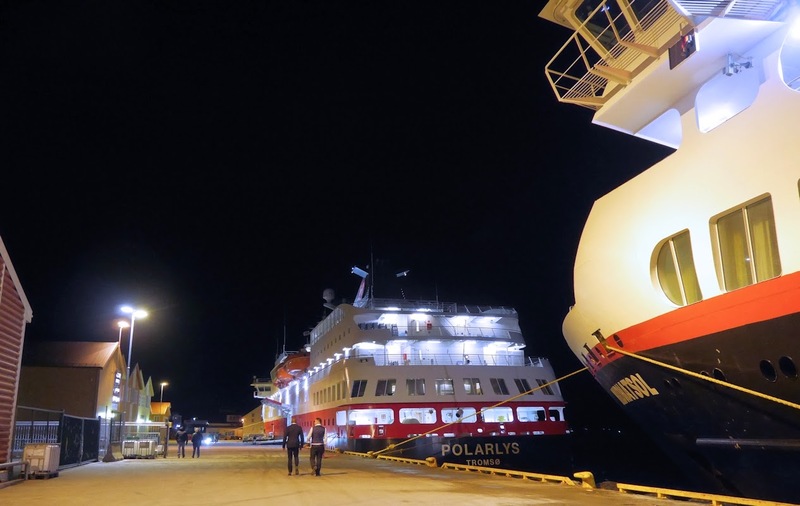 In this photo you can see the ship I was boarding (with my car) in Trondheim that will take me for a 3 nights sailing to Honningsvåg - close to the North Cape - my target on this tour. When we leave this little fisher village in a couple of minutes we will during the night cross the Arctic circle and be in the fantastic Arctic region of Norway. Some more of this village from the net: Rørvik is a port village in the municipality of Vikna in Nord-Trøndelag county, Norway. The village also serves as the administrative center of the municipality. It is on the eastern side of the Vikna archipelago on the island of Inner-Vikna. The village has a population (2013) of 2,949. There are several museums in Rørvik and a hotel. Telenor Mobil is an important employer, as is public service, fishing, and commercial salmon fish farming.